The government is to hold weekly meetings with Brighton main line rail operators, Network Rail and passengers to improve city commuters’ journey to work. The pledge was made by rail minister Claire Perry at a meeting with city MPs yesterday. 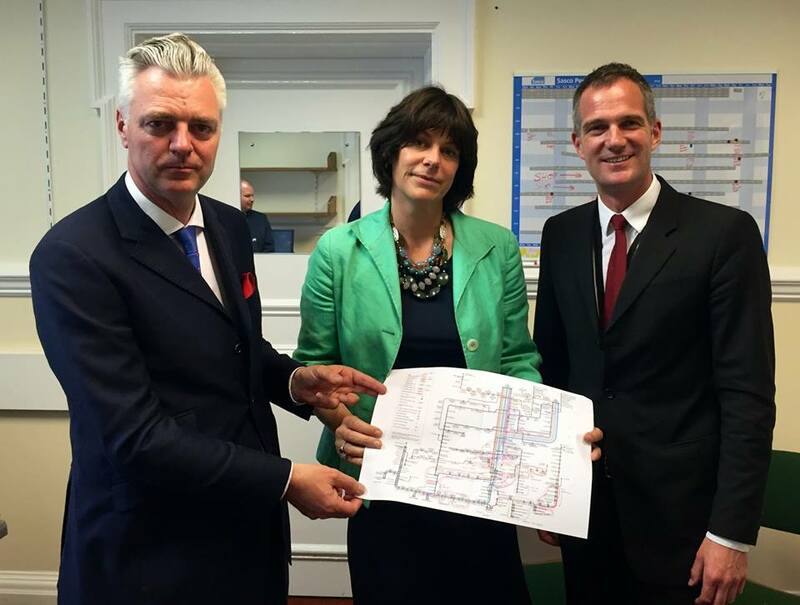 Labour’s Peter Kyle, on his first day in parliament, joined a meeting arranged by Brighton Kemptown’s Tory MP Simon Kirby with rail minister Claire Perry. Caroline Lucas, who initiated the meeting, had another commitment so sent an assistant. Peter Kyle said on his Facebook page: “Despite this being the first day of business I made the most of parliament being in session and went to see the rail minister to express the deep – and often angry – concerns of local commuters about the state of our service. “The minister, Claire Perry MP, admitted that problems on the Brighton to London Mainline were not the fault of suicides and trespass, as is sometimes said, because they are below the national average on this line. Therefore there is scope for better organisation and administration to deliver improvements. “We pressed her on reliability, seating, and customer service. “She has agreed to deliver improvements in six months by convening a weekly meeting with her and the rail franchise, regulators, and a passenger representative body. A Network Rail spokesperson said: “We recognise that performance has not been as good as it should have been and want to assure customers that we take this situation seriously. A Southern spokesman said: “We know our performance hasn’t been good since the number of tracks available to us into and out of London Bridge was reduced. “However, we are working with Network Rail and Govia Thameslink Railway on the implementation of a joint improvement plan which we are delivering against despite the reduction. A spokeswoman for Thameslink said: “Thameslink is affected by congestion on the tracks south of the capital which is in part caused by work improving London Bridge station. “Ultimately this will improve Thameslink timekeeping through the station but in the meantime we have a joint improvement plan with Southern and Network Rail to make things better.